A briefing of foreign diplomats in Bangkok yesterday on Thailand’s coming year as chair of Asean was told the community needs to re-think its strategies and approaches if it is to remain relevant and central to the region. Titled ‘Asean in 2019: Thailand’s Chairmanship’, Thailand’s Minister of Foreign Affairs, Don Pramudwinai, told the briefing that as Asean moves to the next stage of enhanced cooperation and integration, it is doing so “at a time of great change and uncertainty”. Reflecting back to the intergovernmental organisation’s formative years, Mr Pramudwinai noted that the block was established during a period of regional conflict and a global Cold War. Consultation, cooperation and consensus were the “3Cs” that held the founding nations — Indonesia, Malaysia, Singapore, Thailand and the Philippines — together, he said. When the association grew from the founding five to 10, the 3Cs evolved to become “community-building, connectivity, and centrality”. Now, faced with new challenges and uncertainties, it’s time once again for the 3Cs to adapt again, he said. Nominating ‘creativity’, ‘complementarities’, and ‘continuity’ as the the next evolution of the 3Cs, Mr Pramudwinai said Asean needs to move towards ‘Digital Asean’ if it is to maximise the benefits of the Fourth Industrial Revolution. Fintech, the internet of things (IoT), Information and communications technology (ICT) are key to the regions growth, he said, adding that “Asean must also take the lead in solving our own intra-Asean problems. 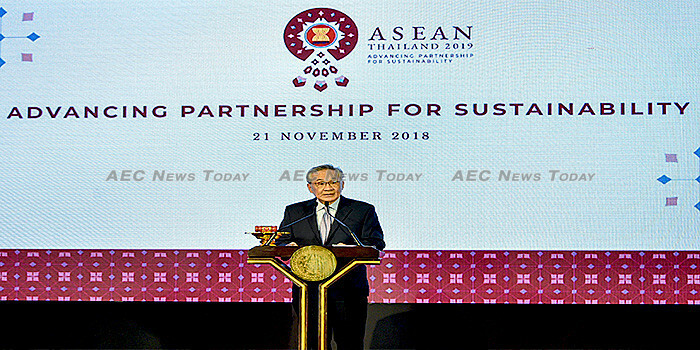 “Whether it be the challenges of non- tariff barriers, humanitarian crises, or development gaps, Asean risked loosing its credibility if it failed to solve its own internal problems”, he said. Noting that the region generates some $100 billion in transnational crime activities annually, Mr Pramudwinai said high levels of cybersecurity are essential as Digital Asean evolved. Thailand, he said, will next year propose an Asean Digital Agility Leaders’ Meeting, as well as upgrades to the Asean-Japan Cybersecurity Capacity-Building Centre in Bangkok to meet these challenges. Complimentary partnerships are also required, he said, if the region is to adequately meet the increasing complex nature of the challenges ahead, noting that “no single policy approach is likely to be completely successful by itself”. The same is true, he said, if regional connectivity is to be improved. 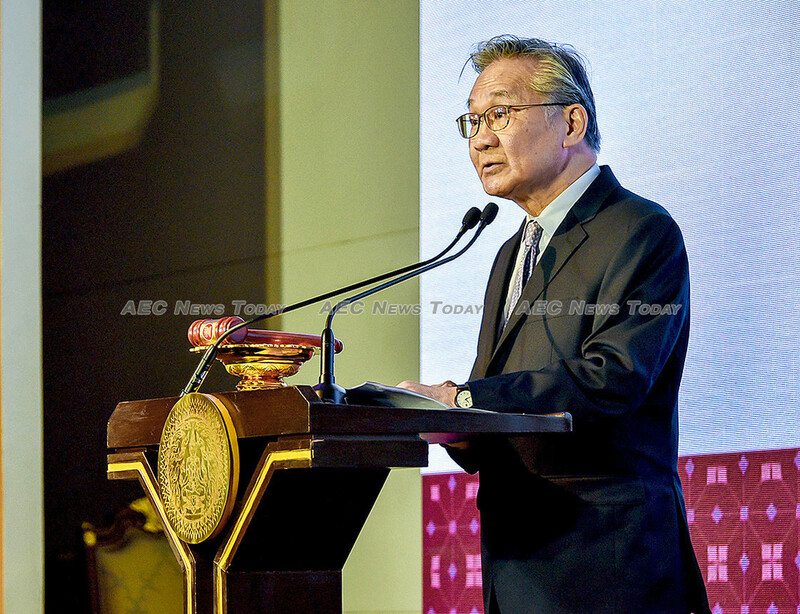 During its year as Asean chair Thailand will, he said, propose an approach called “connecting the connectivities”, to build complementarities between these connectivity strategies and the Master Plan on Asean Connectivity 2025 (MPAC 2025). Complementary trade diplomacy will also be critical in finalising the Regional Comprehensive Economic Partnership (RCEP) during the next 12 months. Thailand’s vision of connectivities doesn’t end with the current 10 Asean member states. Mr Pramudwinai said Asean is also working on a common approach to an Indo-Pacific concept that complements existing frameworks such as the Indian Ocean Rim Association or IORA. Noting that Thailand’s year as Asean chair is transitory, Mr Pramudwinai said continuity of the policies across the various chairmanships is essential if Asean is to remain sustainable. Among the areas where continuity is essential for a ‘Sustainable Asean’, he said are matters such as marine debris and protecting the marine environment, promoting sustainable fisheries through an Asean Illegal, Unreported, and Unregulated (IUU) Task Force and workshops, tackling climate change and reinforcing human security. Focusing on Thailand’s theme for it’ year as Asean chair — Advancing Partnership for Sustainability – Mr Pramudwinai said creativity, complementarities and continuity will be important principles in achieving the goal, “at a time of great promise in our Community-building, as well as a time of change and uncertainty in our world”.